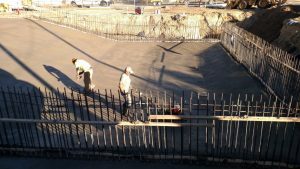 The town of Greybull is getting a new municipal swimming pool! 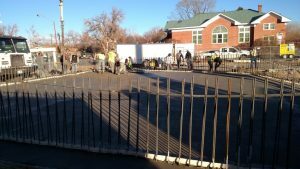 Getting excited for the summer season, the Town of Greybull has started construction on their new swimming pool. The New swimming pool and pool house will consist of a 6 lane, 25 meter pool located at the corner of South 5th Street and 1st Ave. The approximate 1800 square foot pool house will include both Men’s and Women’s shower rooms; reception desk; and concessions space. The pool – fully equipped with Diving board will be enjoyed for many summers to come. 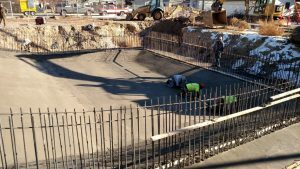 Nelson Engineering provided the Geotechnical; Civil & Structural Engineering design for the swimming pool and pool house, as well as is providing the Surveying and Construction observation services. Nelson Engineering is very excited for the Town of Greybull this new project to be completed in 2019. Thanks to the local contractors for their help by donating time and services to make this happen.